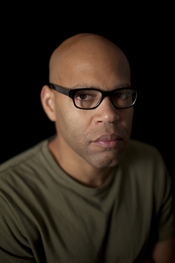 Kevin Everson has made eight feature length films and over one-hundred and twenty short films. His newest film screens Friday at 1:00 PM at the Violet Crown A. He is Professor of Art at the University of Virginia. In Tonsler Park Everson uses 16mm black-and-white film to observe the democratic process as it unfolded across Charlottesville voting precincts on November 8th, 2016.